cellphone cable and connector wiring scheme Complex GSM box, including MBUS support. Should work with Ericsson, Siemens, Panasonic, Sagem, Sony, Alcatel, Motorola, Nokia, Bosch. Almost all digital devices we use require TTL or CMOS logic levels. 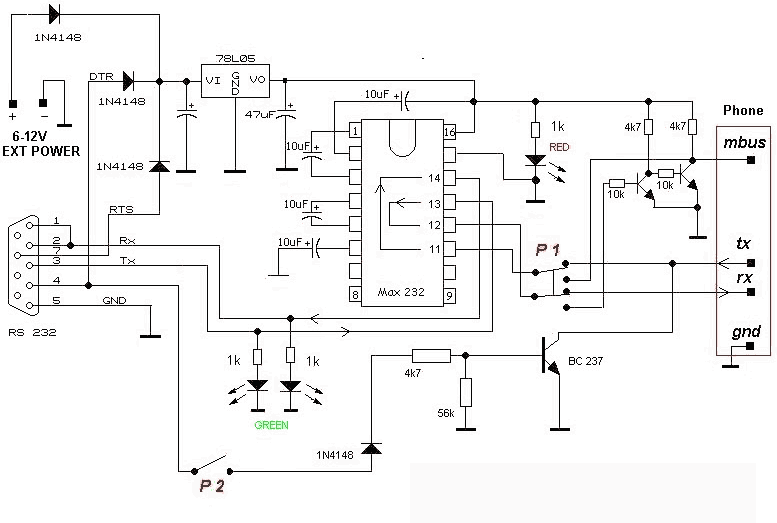 That”s why the first step when trying to connect the device to RS-232 port is transformation of RS-232 levels ack into 0 and 5 Volts. This is done by RS-232 Level Converters, like a Max 232.